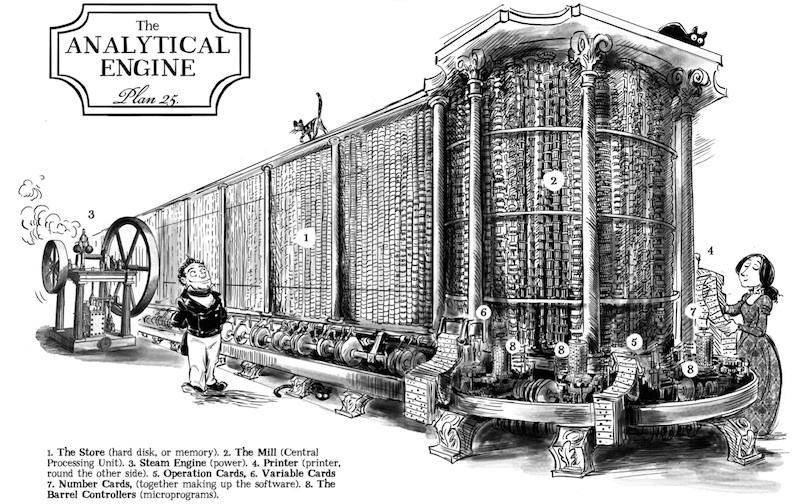 Sydney Padua explores an alternate universe wherein Ada Lovelace and Charles Babbage complete the Analytical Engine and use it to (at the order of Queen Victoria) fight crime. I've blogged before about the web comic, but the book is even better. Padua's tome reconciles hilarity with accuracy. I am not normally a fan of footnotes: if it is worth saying, say it inline; don't force your poor reader to break the flow of thought and eye, and leap to the bottom of the page. But here is the glorious exception, where the footnotes supplement, argue with, and occasionally threaten to overflow the comic. 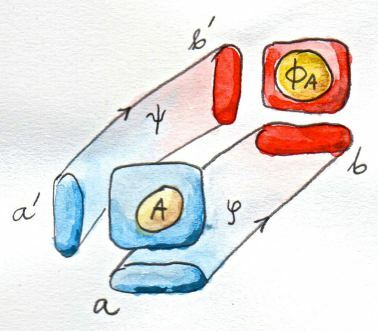 Even the footnotes have footnotes: endnotes cite sources for the dialogue, present pocket biographies of Ada and Charles' contemporaries Isambard Kingdom Brunel, Charles Dodgson, and George Boole, quote at length from original sources, and explain the workings of the Analytic Engine. 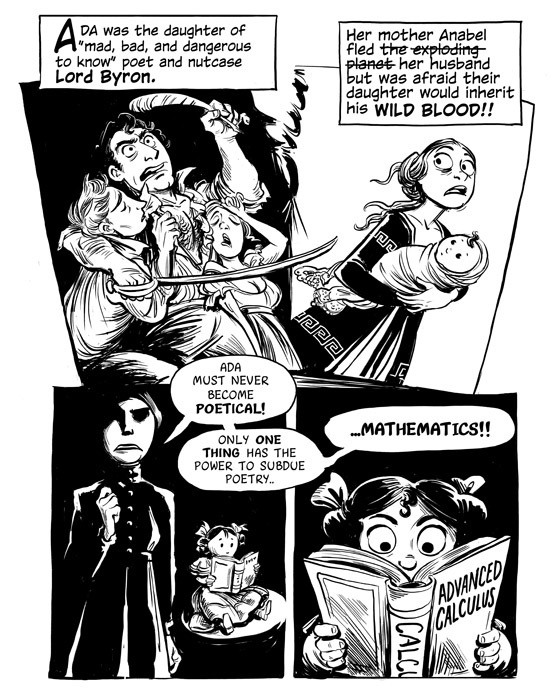 In the midst of an illustrated fantasia riff on Alice in Wonderland, the footnotes pursue an academic war as to whether or not Babbage truly considered Lovelace to be the Empress of Number. Padua makes pursuit of Victorian arcana a thrilling adventure of its own. Highly recommended! How badly will Audible misuse my contact list? In today's world, where our books, music, and photos belong to the Cloud rather than to ourselves, one problem we face is commercial concerns insisting on increased access to personal data. 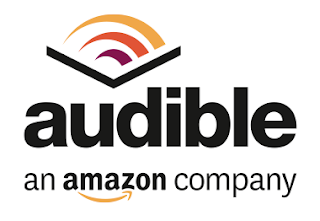 It looks like you may have an older version of Audible app installed on your device which needs to be updated before 6/30/15 to ensure that you enjoy uninterrupted access to your library. Option 1: Continue to use the older version of the app. If you receive an error message when you attempt to sign in, look in your emails for a password that you will need for sign in. Option 2 (Recommended): Upgrade to the latest version. What the note doesn't mention is that updating the app requires giving Audible access to my contacts list. Does anyone know how Audible is using the contact list? Worst case scenario is they email advertisements to my friends in my name, telling them what I am currently reading. Do customers have any legal redress? Changing the terms of service to require access to the customer's contact list is the sort of thing the law should protect against. At Medium, Fredrik (@ique) describes using Haskell in anger. Spotted via Manual Chakravarty @TacticalGrace.